Turn your backyard into an outdoor play area. Set up a mini Frisbee or soccer game to get your kids moving. Start a garden. 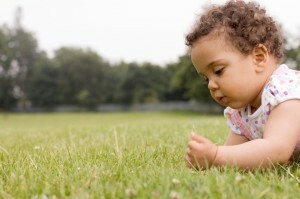 Help your kids plant and care for a garden. They will be able to take part in this activity all summer long. Family dinners will have a special touch with home grown fruits and veggies. Set up an outdoor craft. Outside craft projects are a great way for kids to create and play. Paint rocks with water colors or get out the sidewalk chalk. There are many craft kits available for purchase or Do-it-Yourself ideas online. Go biking. Ride around your neighborhood or on a path or trail. Parents and kids of all ages can get some exercise but always make sure to wear a helmet. Visit the park. It’s time to take advantage of public spaces again–go to the park for some outdoor play. You can make it a special outing by flying a kite, having a picnic or planning a scavenger hunt. Attend a sports game. This could be your child’s game or a professional event. Maybe you even get family and friends together to create your own game. Volunteer as a family. Is there an organization you’ve wanted to help that is also kid friendly? Volunteering can help your child learn the importance of helping others. Depending on your child’s age they might be able to help with things like: leaf raking in an elderly neighbor’s yard, dog walking at the local pet shelter, or helping out a local charity rummage sale. Just be sure to check with organizers to make sure volunteer activities are appropriate for your child/family. Visit a historical site or living history museum. Check out monuments, memorials, and historical sites in your area to help your kids learn about history. Play mini golf. Try an entertaining activity that is also good practice for gross motor skills and hand-eye coordination. Take a hike/walk. Stroll through your neighborhood or check out your local forest preserve. This is a great way to get exercise and to bond as a family. As you walk through be sure to discuss the different plants and animals you see. 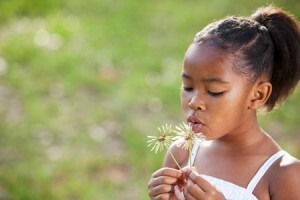 4 fun Earth Day activities that are also good for development. 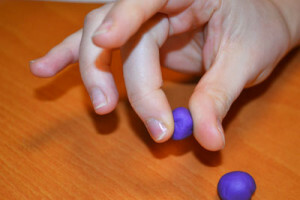 Check out our DIY putty recipe and exercises for fine motor development. Previous Previous post: What Is Positional Plagiocephaly & Positional Torticollis?